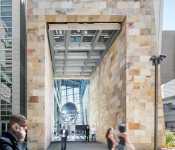 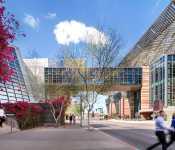 Inspired by the hues of the Sonoran Desert and the cool tones of the Arizona sky, the Phoenix Convention Center welcomes visitors with natural light streaming in from dramatic architecture reminiscent of the Grand Canyon. 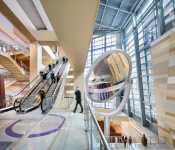 The convention center's North and West Buildings are connected in the lower level exhibit hall and via a sky bridge on the upper level. 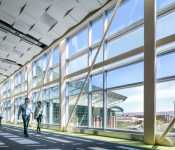 The North Building Street Level features 45,600 square-foot North Ballroom with 25,000 square feet of pre-function space, and a fully automated audiovisual system including dimmable lighting, sound system, and production balcony. 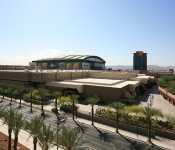 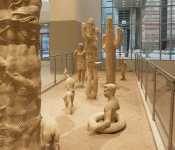 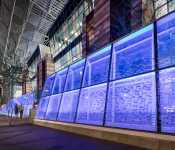 The South Building of the Phoenix Convention Center underwent an $18.5 million makeover in which no corner of the facility went untouched. 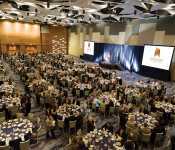 Over 33,000 square feet of space dedicated to this building, including 23 versatile meeting rooms and 28,000 square feet of ballroom space. 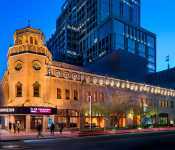 Built in 1929, the historic Orpheum Theatre sits in the center of downtown Phoenix a short walk from the Phoenix Convention Center. 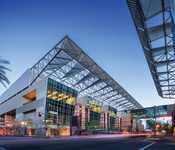 The venue is part of the convention center's family of venues. 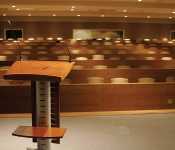 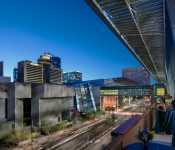 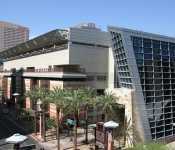 Phoenix Symphony Hall is part of the convention center complex can be utilized for general sessions, corporate events and sophisticated receptions. 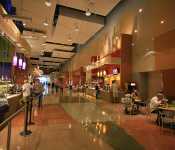 The Metro Marché food court in the North Building provides an array of dining options featuring international cuisine. 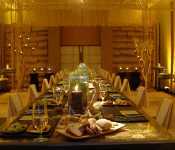 The perfect place to relax in between meetings and events, the Marché offers a comfortable setting with free WIFI. 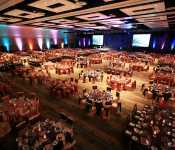 The Phoenix Convention Center's exclusive caterer Aventura takes great pride in handling every detail, providing the utmost in quality, flavor, presentation and variety, while consistently exceeding expectations. 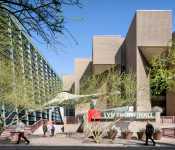 As part of the Phoenix Convention Center expansion, a $3.2 million public art project commissioned 10 artists to create new artwork for the West and North Buildings. 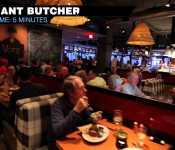 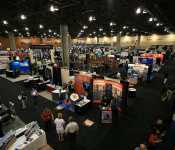 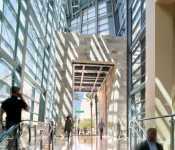 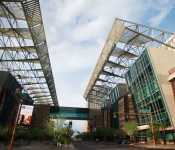 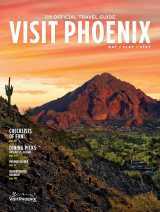 See the daily action at the Phoenix Convention Center in downtown Phoenix.